This leading international construction event will bring together influential decision-makers, innovators and suppliers from the region and beyond for three days of business and networking opportunities.The country’s booming construction market has placed itself as the leading contributor to GDP growth in the region, with 473 billion dollars’ worth of active projects in North Africa and more than 366 billion dollars worth of projects lie in Egypt. It offers experiences, displays and shows across six market-leading sectors: Architectural Exterior And Interior Surface Materials, Composite/Resilient Flooring, Technology And Equipment, Textile Covering (Wall To Wall), as well as Wood Flooring And Wall Coverings. The Hotel Show Dubai, the largest, longest-standing and most prestigious hospitality trade event in the Middle East and Africa.With over 600 exhibitors from all across the world showcasing products across interiors, lighting and design, technology, security, kitchen and laundry equipment and more, the exhibition provides a 360 degree view of the market. Attracting over 50,000 sector professionals, from GM’s and owner operators, through to procurement managers, designers and the all important architects, housekeepers, executive chefs, revenue managers and engineers, The Hotel Show Dubai aims to offer an all-encompassing platform for all aspects of modern hospitality. 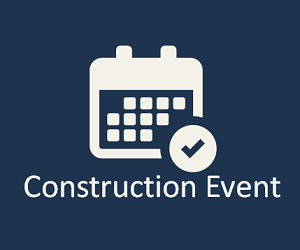 After the success of our forum in 2018, Ventures Connect is proud to announce that the Construction Technology forum is back this year. Ventures Connect is the partnership between Ventures Middle East and B2B Connect. The Construction Technology Forum 2018 was a two-day event designed to provide insights on how adopting technology can reduce operational costs, boost productivity and enhance overall quality across all elements of the industry supply-chain. Windows Doors & Facades Event is the largest dedicated platform for the windows, doors and facades industry in the Middle East. Organised by dmg events Middle East, Asia & Africa, the third edition of the exhibition will showcase products and services from eight product sectors: Aluminium Composite Panel, Doors, Hardware, Machinery, Raw materials, Rollers & Shutters, Service Providers & Windows. Cityscape Global is the largest and most influential real estate investment and development event for emerging markets globally. 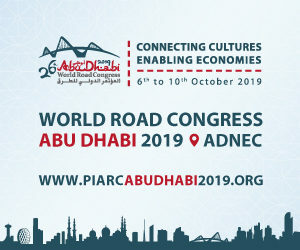 Since 1908, PIARC organizes the World Road Congress every 4 years to share worldwide innovations, strategies, trends, experiences in the fields of road and transport between governments, private sector, administrations and organizations, academics, solutions’ providers, experts from over 120 countries. The three day event offers the opportunity to learn from industry leaders at the THINKLIGHT conference; engage in a design competition at Ready Steady Light; engage with the future lighting designers at Light.ication; and celebrate the region’s outstanding lighting projects and products at the Light Middle East Awards. The event consists of 220+ exhibitors from 33 countries, 40 CPD certified workshops and 7000+ construction professionals in Kenyatta International Convention Centre.